Bulk email & Marketing Portal. OSCorp presents more than just a CRM. With built-in solutions that range from email marketing, to activity and project management and beyond, CRM Solutions On Demand truly is a one-stop organization management solution for most businesses. OSCorp Web Service offers CRM Soluitons to all type of businesses. 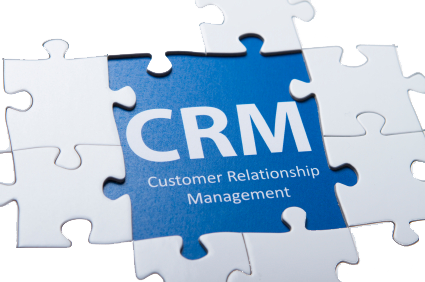 you can control your business process using CRM Solutions. OSCorp presents more than just a CRM. With built-in solutions that range from email marketing, to activity and project management and beyond, CRM Solutions On Demand truly is a one-stop organization management solution for most businesses. The basic needs of any business like Sales - Purchase, Marketing and leeds, Customer Support and email communication, Inventory and Order processes can be managed easily and dynamically using our CRM Solutions. Some of the features of our product are prented at follwing sections of our website. kindly check it. Be prepared for every appointment! Integrated calendar, activity, and notification management ensure that you'll never miss another appointment, and with built-in record associations you can rest assured that you'll always have everything you need to succeed when the time comes. Save time by automating even complex repetetive tasks. Whether it's sending an email, creating a record or appointment, or updating a field, if there's a set of standard conditions that can trigger for the task, then powerful workflows engine can automate it. From Outlook, to Google Apps, to Office, Exchange and beyond, CRM integrates with tools that enhance functionality, so that no matter what business calls for, you have it covered. Use CRM Solution to build campaign portfolios, tracking campaign information, setting budgets, attaching documents, and associating leads to see a comprehensive view of all of your campaigns, associated leads or contacts, and performance at any time. Reporting as deep as your data. Track customer purchase histories down to uniquely identifiable items and services. Use that information in targeted up-sale or cross-sale activities, or for tracking support or warranty requests. Ensure that account owners have visibility into customer projects by using crm to build and track projects and details including budgets, milestones, tasks, and resource assigments. crm's document management systems and workflows also integrate seamlessly to allow for automatic notices and the attachment of files to project tasks. Order for CRM Solution Now ! !